Scott became a captain of artillery in 1808 and fought heroically in the War of 1812, in the wars associated with the Indian Removal Act (during the 1830s), and in the U.S.- Mexican War (1846–1848). 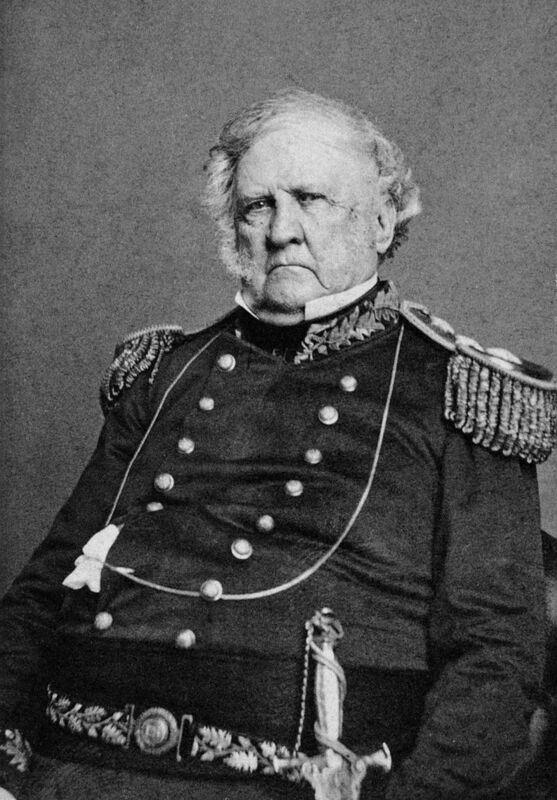 Named commanding general of the U.S. Army in 1841, he served as such until 1861, through the first months of the Civil War. He was the leading American military officer between the Revolution and the Civil War.